There are 26 reviews of Queen. Spicy oriental. Balsamic, warm, woody, aromatic, boozy, musky-animalic - citrus top notes are buried. It is a pretty good release, for a celebrity scent. Discontinued - I'll savor this to the last drop. Can be overpowering if over-sprayed. Lasts quite awhile. By all the warm balsamic notes & spice in the composition I should love this. It's not bad, and it's a tremendous bargain scent but on my skin it just emits a coldness, even a little waxiness of a funeral bouquet, that makes me want to skip over it's cute little bottle when choosing my scent. I bought Queen "blind", because of the reviews here at Basenotes. The price is unbelievably low for the quality. I've also ordered several bottles to give as gifts; so far the recipients have been pleased. Once it has dried down, I smell vanilla, tonka, sandalwood and booze. It is a warm, comforting scent, and is long-lasting. Sillage is moderate. I blind ordered Queen and Queen of Hearts together. I tried Queen the first day and did not particularly like the top notes. The bergamot and mandarin orange really assaulted my nose and gave me a slight headache. I really thought I would not be able to wear this parfum again. The second day I wore Queen of Hearts, and I was very taken with it. The third day I gave Queen a second try, and I am so glad I did because the top notes did not bother me at all this time. As other reviewers have said, Queen has a pretty strong cognac note, but it is very well complimented by the jasmine, vanilla, and sandalwood. The heart notes and base notes are quite nice. I could pick out the jasmine and the cognac in the heart notes. I cannot detect any patchouli, incense or rose in this parfum. The deep dry down is quite sweet and warm and, well, yummy smelling. Longevity is much better than expected given four good sprays. I understand why many reviewers describe this as a gourmand fragrance. I could identify the vanilla, a bit of sandalwood, and a bit of musk, as well as a lingering cognac that never lets go in the deep dry down. I think the dry down is very nice indeed, but I would not say that this is an outstanding fragrance that is destined to become a great classic. However, it does what it promises to do, and it does it quite well, thank you. 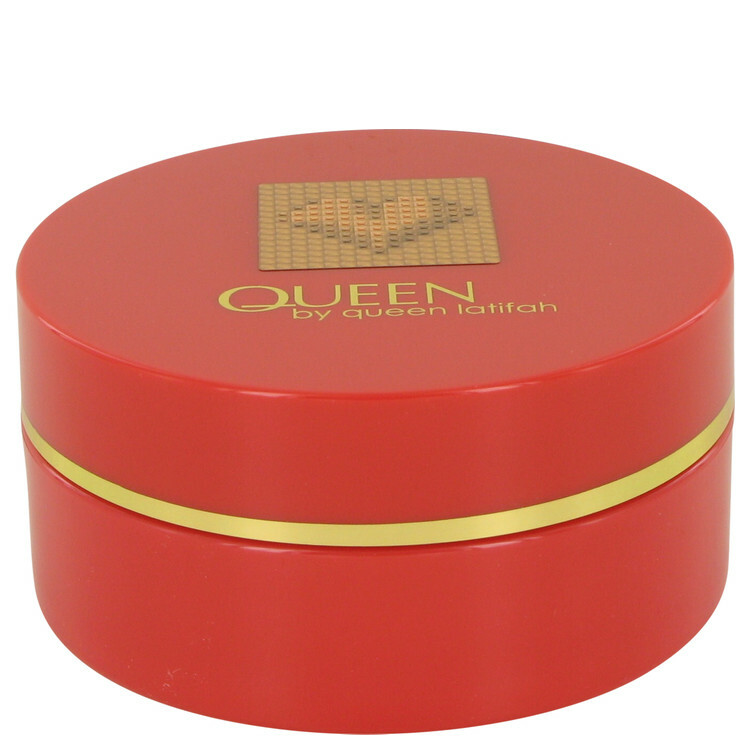 Overall, I really like Queen and would not hesitate to recommend it to anyone who likes a sweet, gourmand, oriental type scent. I think this parfum is particularly nice for the Autumn and Winter seasons. It has a sort of festive character to it that reminds me of the winter holidays. I think it would be a very romantic fragrance to wear whilst curled up with one's lover in front of the fireplace on a cold, crisp evening. Queen, like Queen of Hearts, becomes a skin scent on me after 3.5 to 4 hours and has to be reapplied, but I am not bothered by this given the price point. If I apply two sprays to each arm and two between the girls, I get excellent longevity. Applied at night after I bathe, I can still smell it on myself in the morning whence I awaken. Ordered back up bottles of both Queen Latifah fragrances, and that really surprises me as I never expected to like either one very much, much less like them enough to order back up bottles. Steve Demercado has done a brilliant job with both of these parfums. Projection and sillage in the first hour 10/10. Projectin and sillage after the second hour 8/10. I usually don't review women's fragrances, but this one is fairly simple, and familiar to me. I used to own a bottle of Vanille Patchouli by Molinard, and they smell almost identical. Here In Queen, I get an equal blend of vanilla, and patchouli. It's very well paired, it smells even a bit natural, more so the patchouli than the vanilla. This is definitley a unisex fragrance. This has much less projection than Vanille Patchouli which I like too, because with how sweet it is, I don't wanna project so much, as it can become cloying. I can't say that I pick up on any notes other than vanilla, patchouli for the most part. Hours later I smell more tonka than vanilla. I also began picking up on tonka more toward the beginning. Not that obnoxiously sweet tonka either, which is a plus for me. I don't get any of the florals. Maybe a little musk and sandalwood in the base. I've seen this for as cheap as 10 bucks a bottle, for a bigger bottle. A great buy in my view, and a pretty nice bottle too. PS-the opening might be a little off-putting, but stick it out because the drydown is totally worth it! There are no member images of Queen yet. Why not be the first? Queen by queen latifah have I not smelled this before in Men's? Is new Queen Latifah frag an homage to Boreno 1834 ?